Check out what's playing tonight at the D.C. Environmental Film Festival. 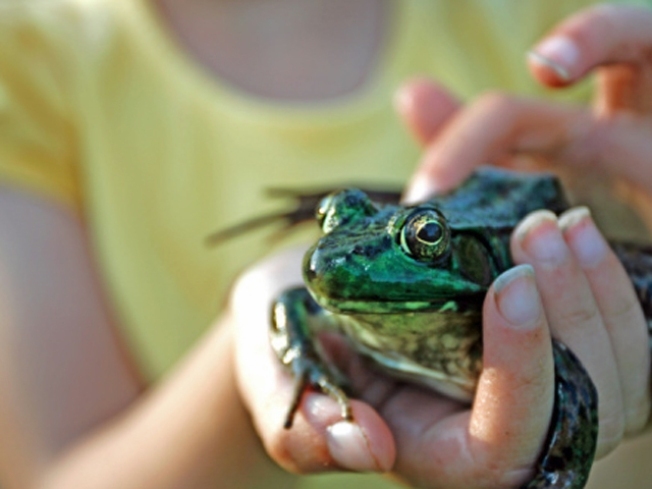 FROGS: THE THIN GREEN LINE: Their skin is an open membrane. It absorbs all that is present in their world. The world is killing them. Frogs are a kind of canary in the coal mine. If they are dying in countries around the world then we must listen. For it's nature's way of telling us something's wrong. The documentary "Frogs: The Thin Green Line" looks at the environmental crisis unfolding around the globe by studying the slow die-off of this amphibian. If the frogs are dying, then the ecosystem is in peril. 60 minutes 7 p.m. Smithsonian National Zoo. Free. Registration required: www.fonz.org/lecture.html Lecture to follow. THE MUSIC TREE (A AVORE DA MUSICA): There is a tree in the Brazilian rainforest, the pernambuco, that has produced the bows used in musical instruments for years. But now that tree is endangered because the forest it inhabits is being cut down. In this film we go into that forest and meet the tree and the musicians who are trying to save it with an ingenious plan to take its seedlings and grow them in nearby habitats. 78 min. 7 p.m. Carnegie Institution for Science. Free. Discussion with filmmaker Otavio Juliano follows. A CHEMICAL REACTION: How a dermatologist in Canada made the connection between her patients' health and exposure to chemical pesticides and herbicides used in lawn care. What happened next is a real David and Goliath tale as Dr. June Irwin takes on the chemical companies of North America -- and wins in the Canadian Supreme Court. Now these chemicals are banned for use in the town of Hudson, Quebec. 80 min. 6:30 p.m. AED Globe Theatre Free. Discussion with filmmaker follows. DIVISION STREET: "A portrait of ancient wilderness and new technologies ..." This film looks at the quest to create a green transportation movement in an age of urban sprawl. It takes us through roads in America that work and shows us how to re-imagine our highway system. 63 min. National Academy of Sciences. Free. Discussion to follow.